Small businesses and corporate branch offices require a secure way to protect physical assets, but may lack deep security expertise or a big budget. NETGEAR combines market leading storage and switching solutions together with sophisticated network video recording (NVR) software to provide a powerful solution that is easy to install and manage. A user-friendly NVR system should combine fast and flexible configuration with easy operation. With a few simple steps for installation, the web-based management leads users to configure, monitor and playback video everywhere. UPnP search, auto camera detection and GUI schedule save setting-up time, while the easy drag and drop camera, auto scan, preset point patrolling, and multiple views offer users a prime monitoring experience. - A simple way to expand the usability of your ReadyNAS. 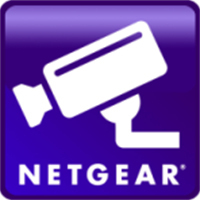 - View, Manage, and Record video from up to 16 IP cameras per ReadyNAS. - Combine multiple ReadyNAS units to create solutions that scale beyond sixteen cameras. - Simple intuitive user interface. - View video from a computer using a web browser or through one of the free downloadable mobile applications. - Utilize existing data protection features of ReadyNAS to ensure video surveillance data is protected. - Receive event alerts via email. - Compatible with major IP brands, supporting over 1000 camera models. - Support megapixel and high-definition video. - Scalable licensing model, pay for only what you need.